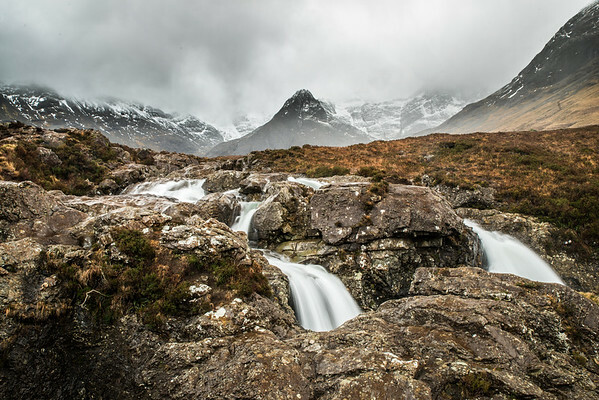 Exploring the rocks of the Fairy Pools in Glenbrittle, I came across this spot that I quite liked. The water was just visible in and about the rocks and the great ridge of the Cuillin loomed ahead, wreathed in cloud. I couldn't resist stopping, setting up my tripod and getting a shot to show the movement of the water.